With the demise of Nortel, it has left existing users with a problem if they want to expand their existing Nortel telecoms telephone system – where do they get the hardware? 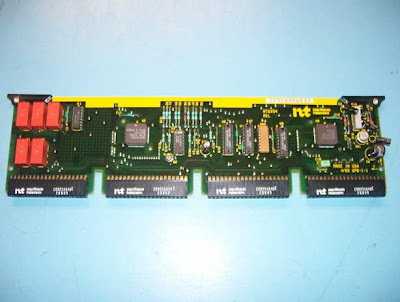 Flextronics were tasked with supplying a daughter board for an exchange, and could source all the parts apart from one – the Nortel processor itself. The part was a NT6X54AA ASIC, long since out of production. The only alternative at the time was to set up a production run to make a batch of chips – however this was a massive cost. Then it was discovered that although the revision of daughter board needed did not exist, earlier revisions of the board existed in quite large numbers – and the only constant between all the revisions was the ASIC chip! So Retronix was asked to carry out a recovery operation on the chips so they could be re-used. Retronix used their unique IC Rescue process to remove and refurbish the ASIC chips without using any dangerous heat or abrasive processes. All chips were then fully tested, both mechanically and electrically, and supplied to the CEM to be installed on the latest revision of PCB. This proved a highly successful operation, with no reported field failures after 2 years of installation. Safe Recovery White Paper: Learn more about Retronix Zero Reflow Cycles Process for IC Rescue by clicking here.